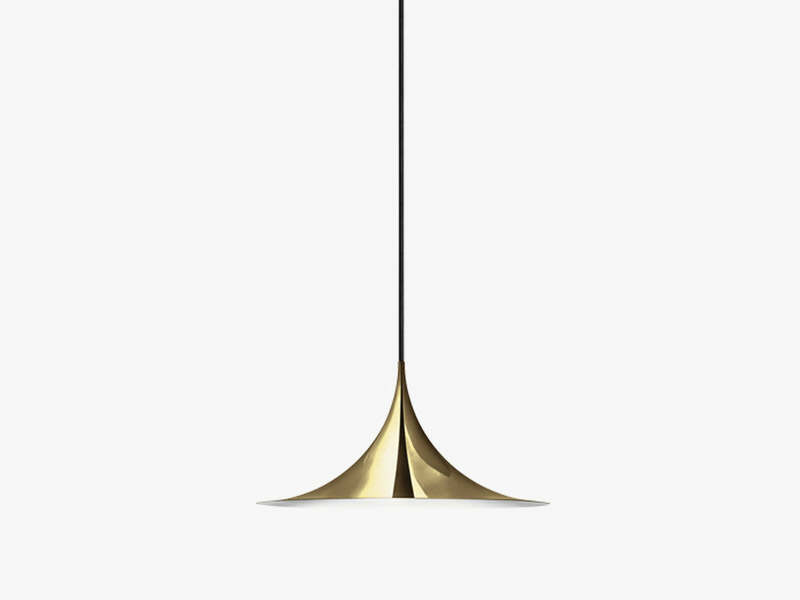 The Semi Pendant was designed in 1968 as a product of the creative partnership between two architecture students, Claus Bonderup and Torsten Thorup. Reacting against the soft organic forms, the so-called cosy era, that was dominating Denmark at the time, Bonderup and Thorup wanted to create a lamp that incorporated sharp, clean lines and a geometric shape. Their design was submitted for a competition at the Royal Danish Academy of Fine Arts, School of Architecture and won first prize. The Semi Pendant is a unique pendant lamp based on two quarter-circles put together, back-to-back. With its distinctive arch-shaped, enameled metal shade, lightness of form and unique, timeless design, the elegant lamp achieved great success in the 1980s and became, at that time, the best-selling Danish design and gained worldwide recognition and iconic status.